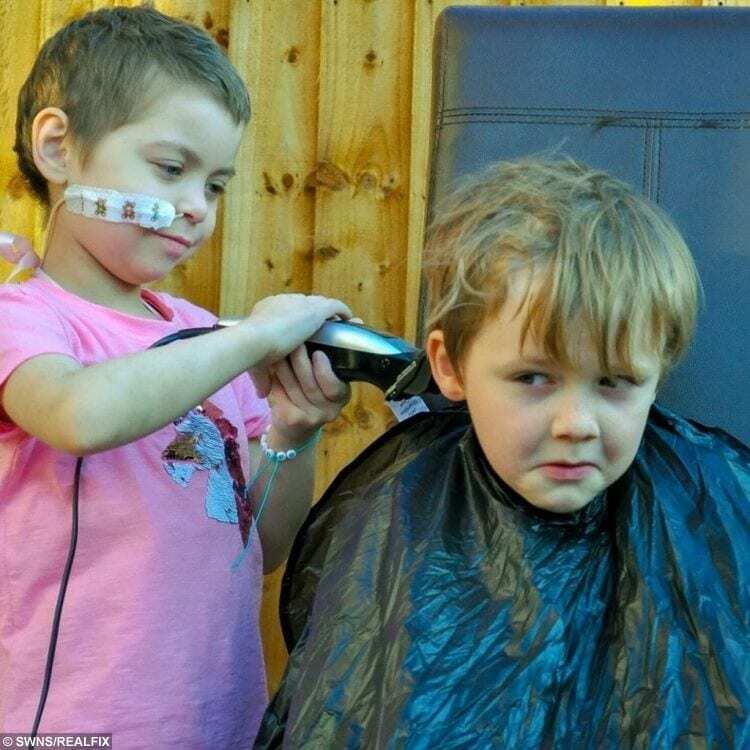 A six-year-old girl is fighting cancer with the help of her best friend who let the schoolgirl shave off all his hair so he “could look just like her”. 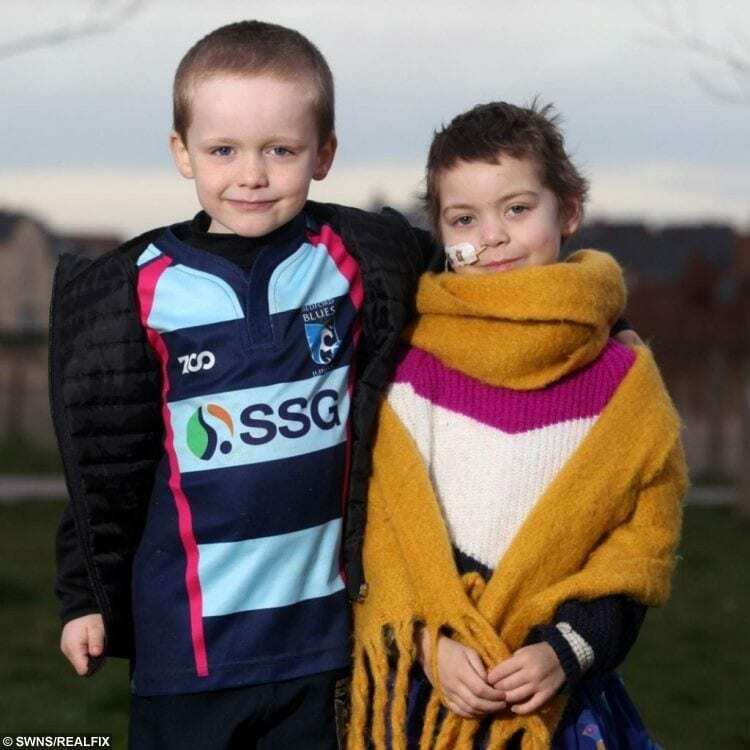 Lulu DeVries and Oisín Ruskin met on the first day of school, just months before she was diagnosed with a rare aggressive cancer. 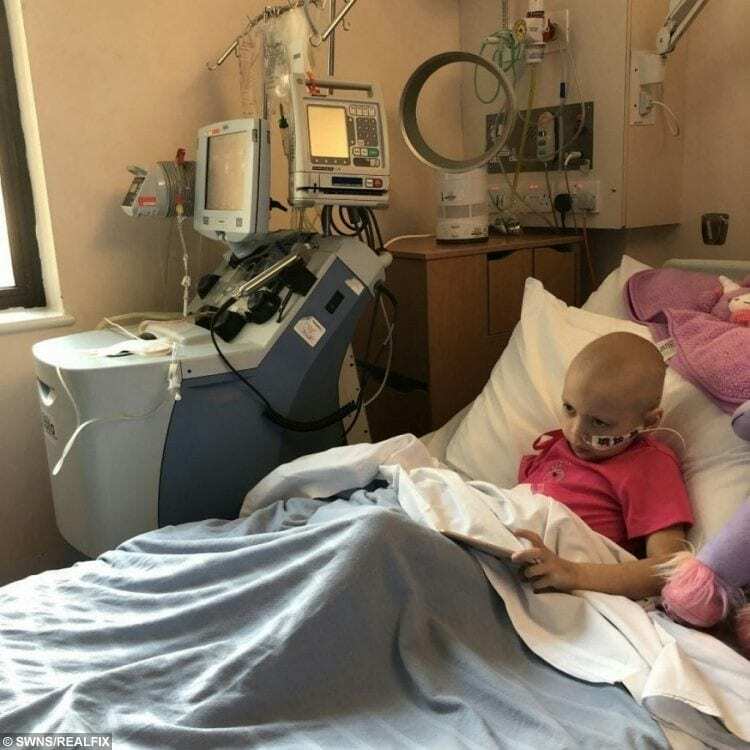 The brave schoolgirl has endured multiple rounds of chemotherapy, surgery, a stem cell harvest, stints in isolation, radiotherapy and is currently having immunotherapy. Her desperate parents have been told it’s her “last chance”, and even if it works, there is a 50 per cent chance she’ll relapse. They have found a £162,000 trial treatment in America which claims to reduce relapse chance to 10%. 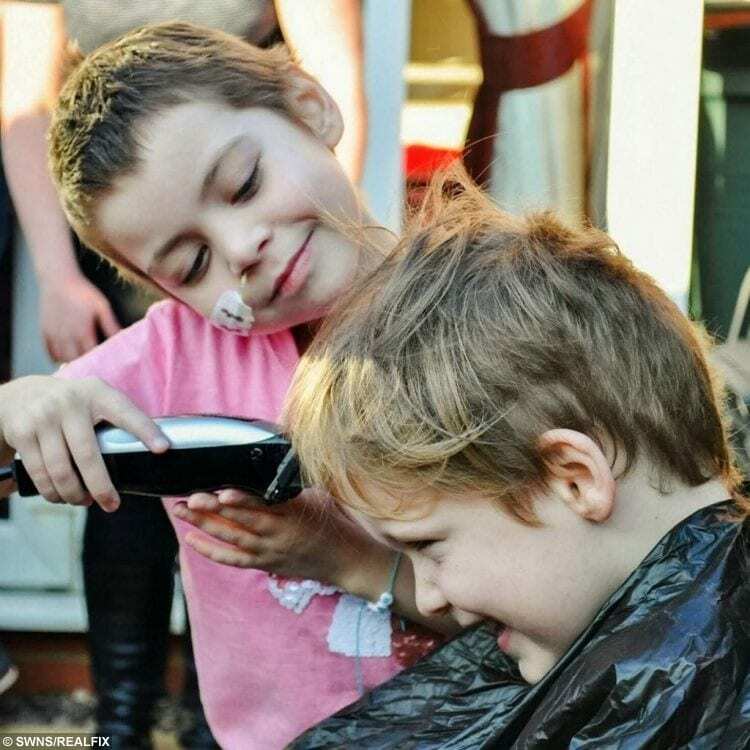 And when best pal Oisín found out he asked what he could do to help – and offered to shave off his hair for her fund. 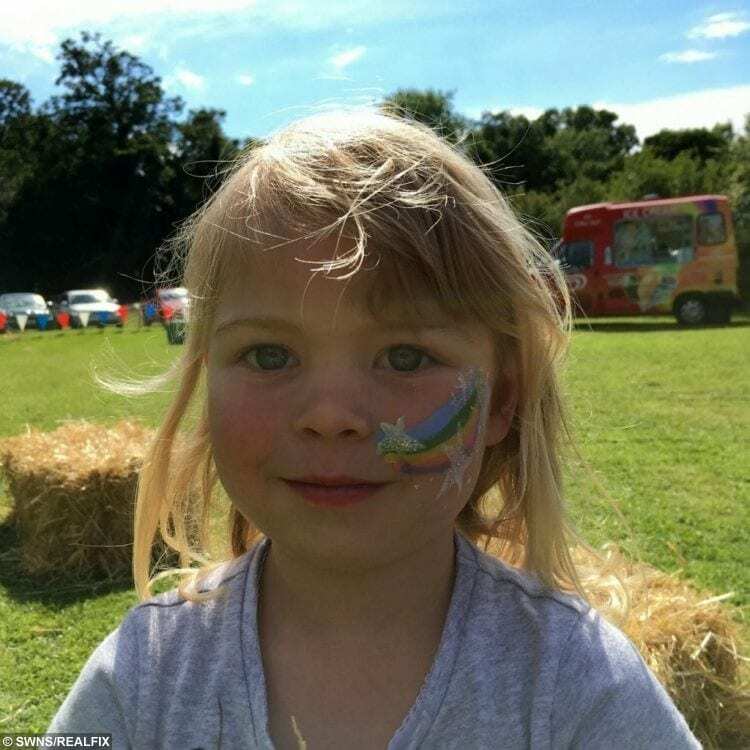 An adorable video shows Lulu – who has lost her hair – taking the clippers to Oisín’s locks and when he was shown his new look in the mirror, he said to Lulu: “I look like you now”. He hoped to raise £100 – but his total currently sits at £2,800. Lulu’s dad Rob DeVries, 51, said: “It was a special moment. “He’s a determined young boy. “At other fundraisers he’d go up to people and tell them what he was doing and then come back to Jo and say: ‘Here you go mum. Here’s another fiver’. Oisín’s mum Jo Ruskin, 40, added: “I’m so proud of him. “He knows the name of the disease and the fact that there is medicine Lulu needs which isn’t available in this country. 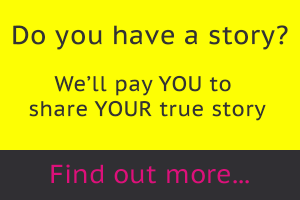 “I was speaking about fundraising ideas with my husband and Oisín overheard and asked how it all worked. “He’s a bit of a cheeky-chappy but he’s also stubborn. “You could hear him saying to Lulu ‘don’t forget about his bit’. 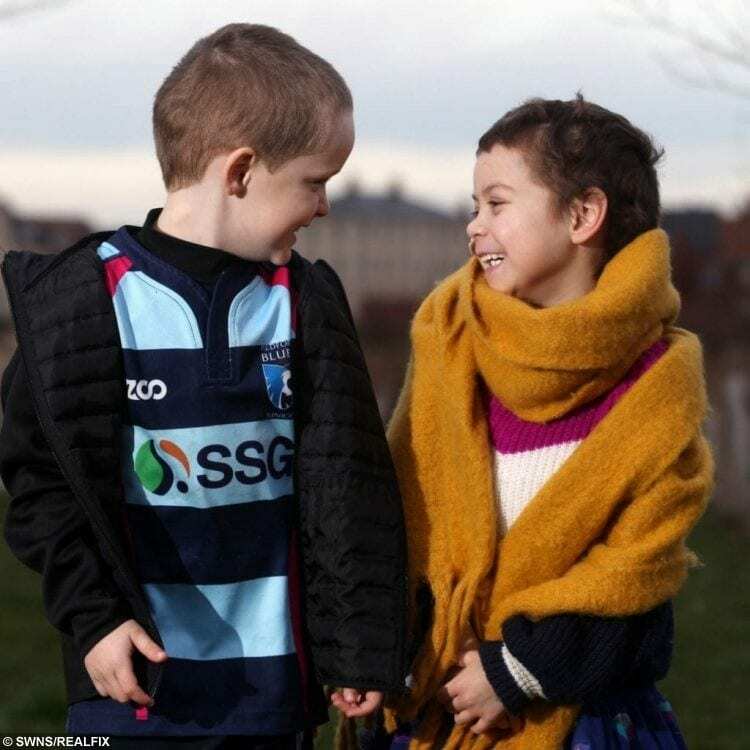 Lulu and Oisín met on their first day at Great Denham Primary School, Bedfordshire, in September 2017. But weeks after starting, teachers noticed Lulu became incredibly fatigued and would find her falling asleep in lessons. Concerned dad Rob took Lulu to the doctors where a blood test showed her to be anaemic, and was given iron to supplement her diet. But in the weeks that followed Lulu struggled to walk the half-a-mile to school and would ask her parents to carry her up to bed. 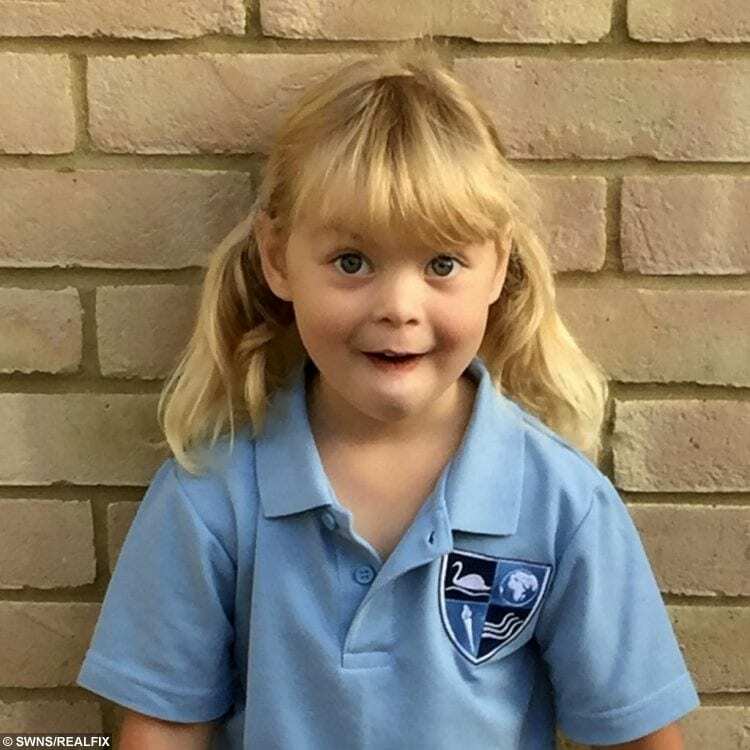 Lulu was referred to a consultant at Bedford Hospital in January 2018 where doctors carried out an MRI scan on her legs and hips, noticing a shadowy area over her kidney. 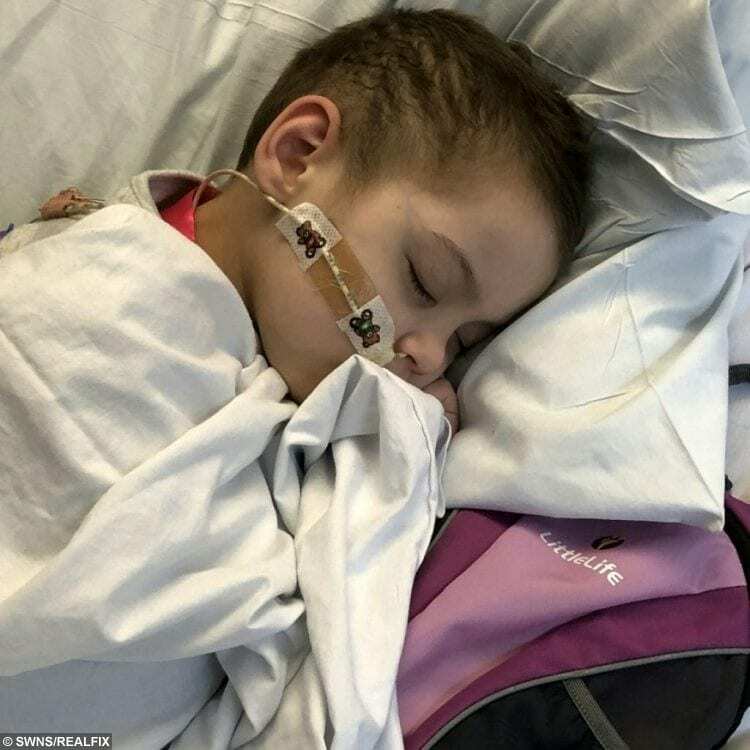 It was a tumour “the size of a grapefruit” and she was diagnosed with high-risk neuroblastoma which had spread to her bones, bone marrow and lymphatic system. He said: “At first we put it down to a virus or a bug and when the GP gave her antibiotics we thought she would be on the mend. “She wouldn’t walk anywhere and wanted to be carried all the time. “Compared to her days of running around pre-school in a blaze of excitement, Lulu could barely get through a whole day. Rob added: “We heard the words that no parent wants to hear – your child has cancer. “It felt like a dagger. “The first few days after the diagnosis were a total daze. “It was brought on by a birth defect so it’s just been there growing without anyone realising. “It wasn’t as if something was sticking out. Lulu immediately started chemotherapy and in April was told her cancer was shrinking after 11 rounds. She had an eight-hour operation in July, removing 95 per cent of the tumour. Lulu continued to be fed through a tube to her stomach due to the chemotherapy ruining her appetite. 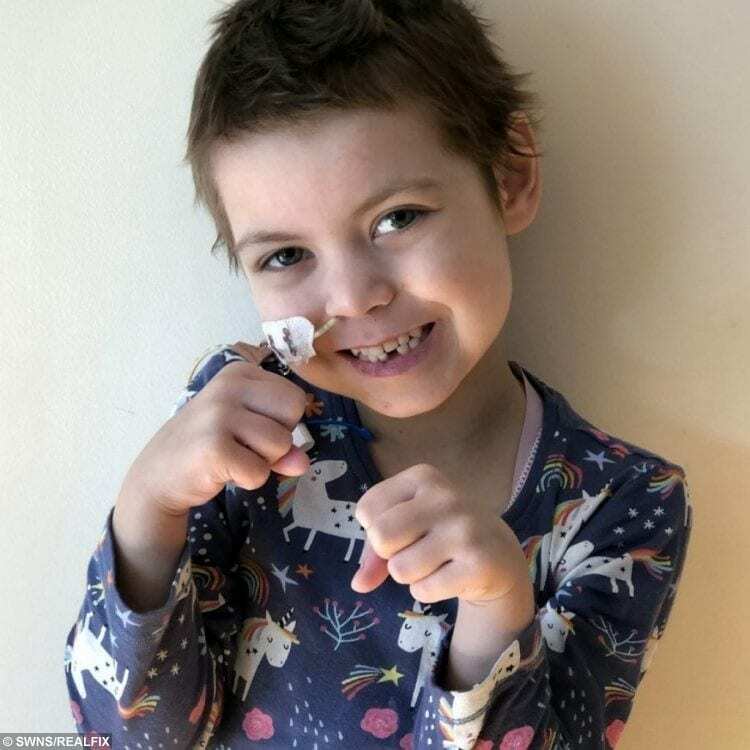 In August Lulu continued her chemotherapy – up to 17 doses a week – and had her stem cells harvested before being put in isolation for 33 days. She is currently having immunotherapy, and they hope it will leave her cancer-free – but doctors have warned even if it works there is a 50/50 chance it will come back. But Rob and Clare were told by other parents visiting the ward about pioneering treatment in the US. The vaccine-based treatment called bivalent vaccine in New York is said to train the white blood cells to constantly look for cancer cells. Rob said: “Before it felt like we were walking into a casino and betting everything on a 50/50 chance. “But after being told that we felt the odds were more in our favour but unfortunately it comes at a price. Lulu’s family launched their appeal to raise £162,000 so she can access this potentially life-saving treatment before the trial ends. Little Oisín heard his mum and dad Mark, 41, talking about what they could do to help – and offered to fundraise himself. 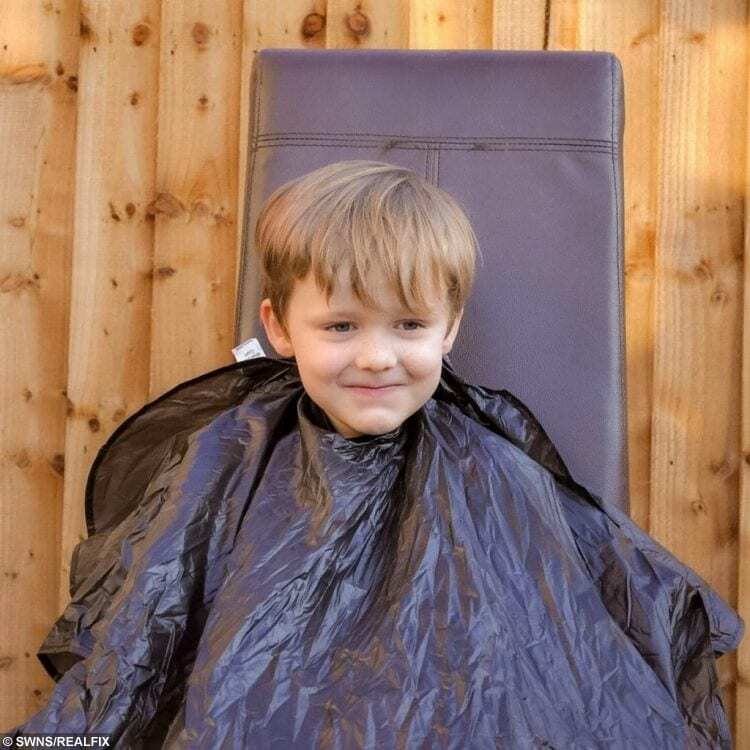 Joanne said: “He suggested doing a sponsored head shave. “We were a bit dubious at first because he has lovely long locks so we said ‘wait until you get to £100 and we’ll see’. “Oisín turned round and said he was going to make the target £2,000. “We thought it was a bit ambitious so we just said ‘let’s keep it at £100’. “When we noticed the campaign taking off we decided to set a date. “Initially we arranged to have Oisín’s usual hairdresser do the shave but she suggested it might be better for Lulu to do it. “It wasn’t until the day when Lulu asked for the clipper and just rolled with it. “Lulu was taking it in her stride. “When he was shown the mirror he said to Lulu: “I look like you now”. The determined youngster smashed his £100 target within three days of setting up a JustGiving page, currently standing at £2,800. 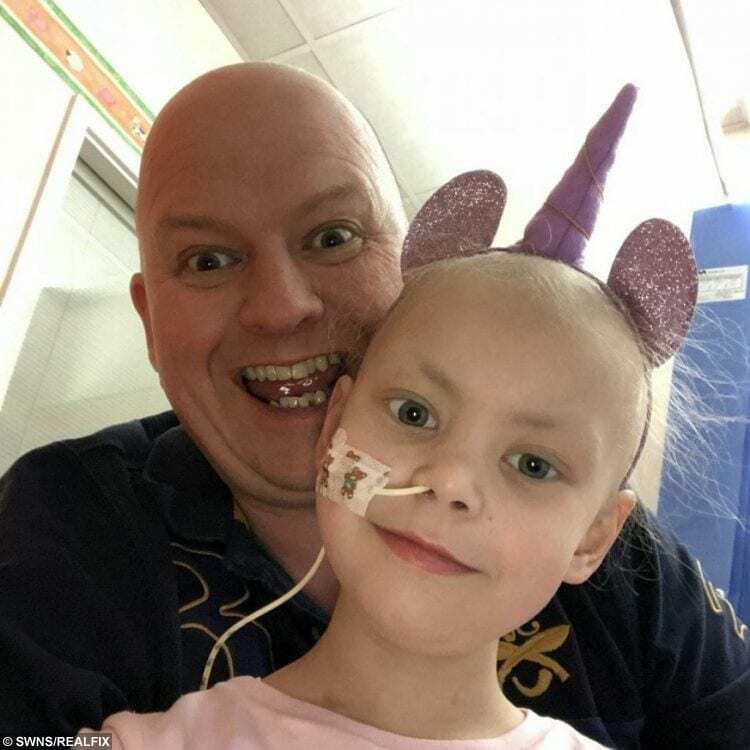 Rob, who is about to begin a 12 marathons in 12 days challenge, said: “The amount is daunting but we can’t put a price on our little girl’s life. 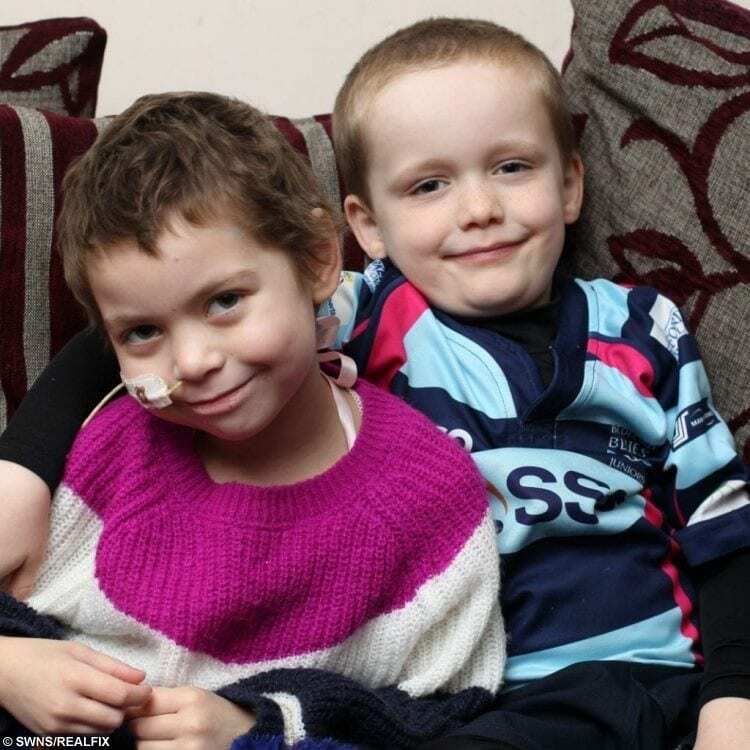 “There’s a 50 per cent chance of Lulu relapsing after her treatment ends. And of those who relapse 90 per cent of children die. “With the treatment Lulu has a 90 per cent of surviving. “So it’s a no brainer really. 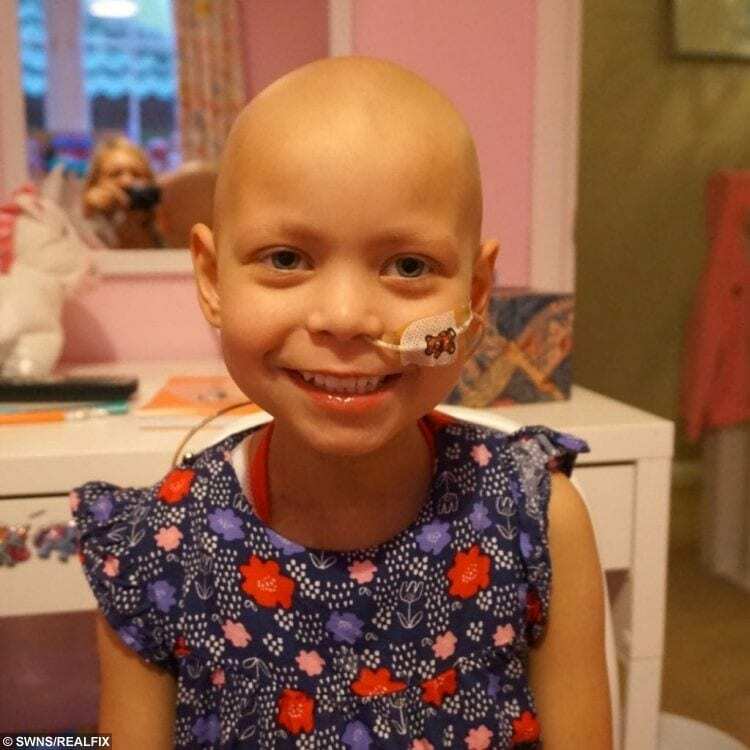 “She has been so brave, she is our little hero.